Sometimes, large and long is beautiful. 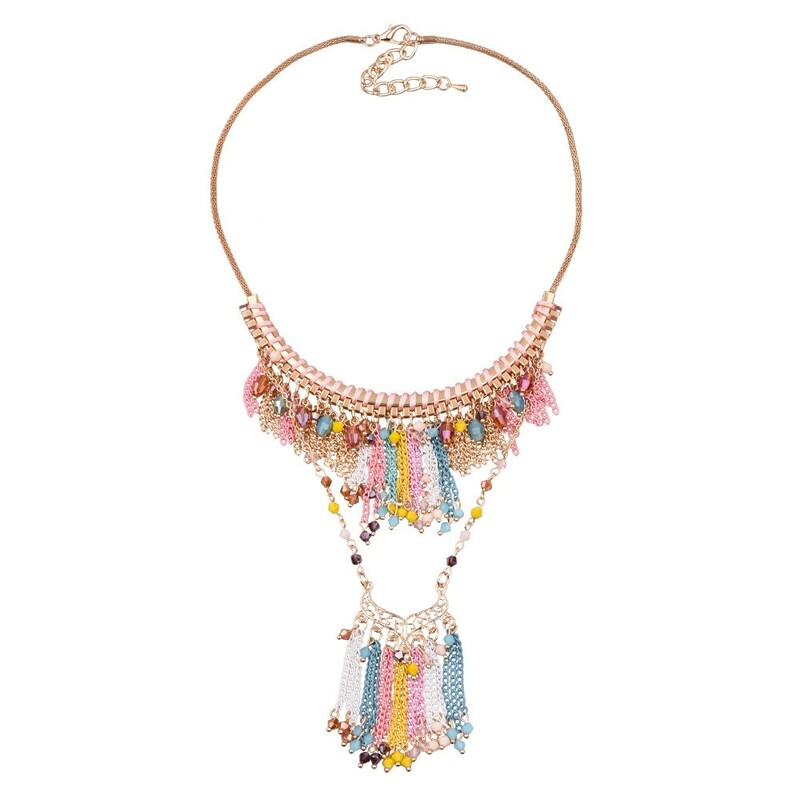 This dazzling layered tassels design bib statement necklace drapes your neck with a garden of different shape bling pink orange grape blue beads, high polished rose gold bar drop, and pretty colored complex tassels pattern.The boho chunky necklace measures inner perimeter 48 cm and a 8 cm extender. 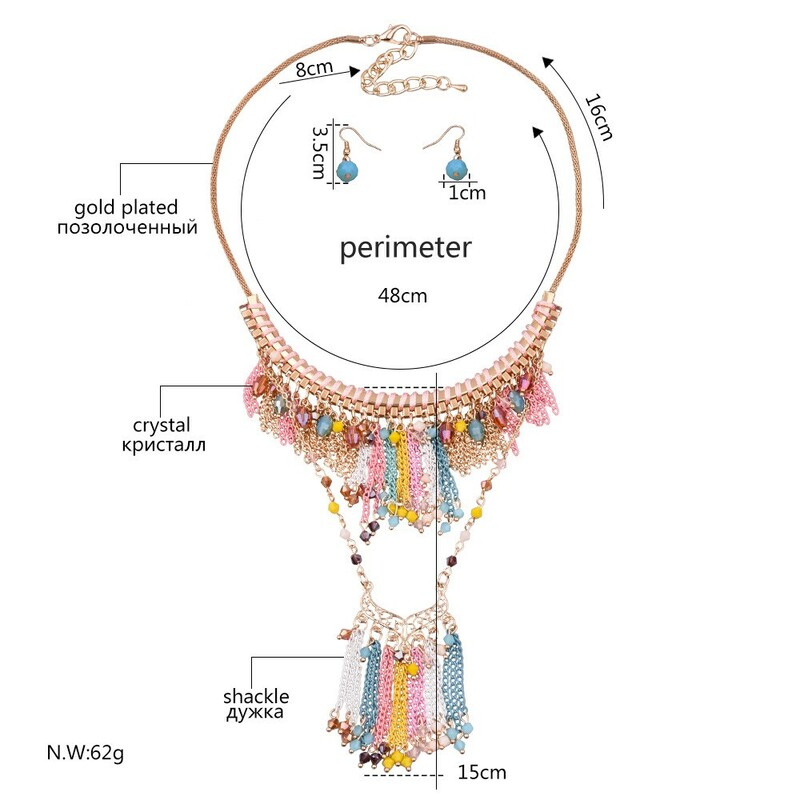 This bold statement necklace is the best adorned accessories for your fashion unique bohemian beach outfit.